Cockroaches are the most common structural pest in San Diego. Cockroaches are disease vectors which readily transport disease by walking, feeding and discharging bodily waste contaminating clean surfaces and food. 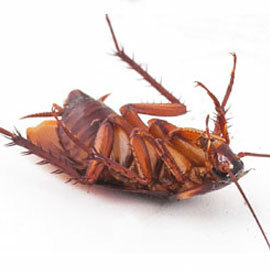 There are four species of cockroach in San Diego; American cockroach, Brown-banded cockroach, German cockroach and the Oriental cockroach. Of these, the German cockroach is by far the most common as well as the toughest to eradicate. The German cockroach produces more eggs and has the most filthy habits of the four cockroach species in California. Cockroaches carry numerous pathogenic organisms on their bodies, potentially spreading these diseases to humans. There are several ways cockroaches gain access to your home or office. Traveling with groceries, particularly in grocery bags and other foods and containers. Brought in on infested equipment such as second-hand refrigerators, microwaves, TVs, and other appliances. Imported into the home from an infested work site. Migrating through wall voids from an infested area. Typically apartments with common walls, pipes and electrical chases. Migrating in or flying in from outdoor breeding sites. Entering through infested drains or sewers. 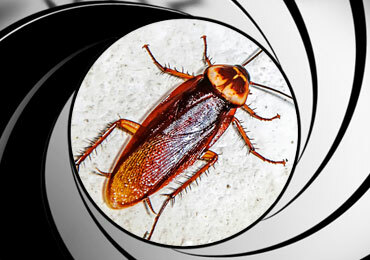 License To Kill offers complete cockroach cleanout services. These treatments target roaches in every place within your home including the wall voids where they nest. Check out our cockroach cleanout video, our owner walks you through every step of our total cockroach treatment. License to Kill pest control provides comprehensive pest control protection plans, which eliminate cockroaches reassuring peace of mind. 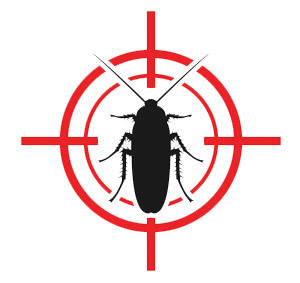 We specialize in cockroach pest control and have extensive experience eliminating cockroaches in historical structures as well as commercial properties and apartment complexes. At License To Kill, we understand pesticide sensitivity. If you’re allergic to pesticides, concerned about your pregnancy, or are concerned with your pets or children, we care and are prepared to work with you. American Cockroaches are the largest species of roach in southern California. These pests are generally brought indoors by unfavorable conditions outdoors. American roaches are mahogany red, fully winged and can fly. 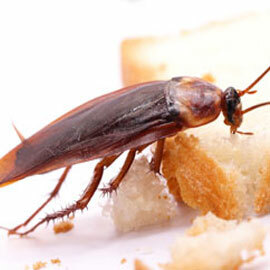 Brown-banded roaches are able to survive very dry areas and can be found anywhere in the home. This species of cockroach is the hardest to control because they carry their eggs on their back and nest in large numbers. This cockroach is commonly found in second hand goods and quickly spreads throughout the home. 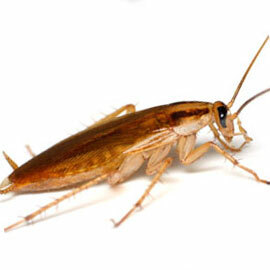 Oriental cockroaches are the second largest cockroach in San Diego county. 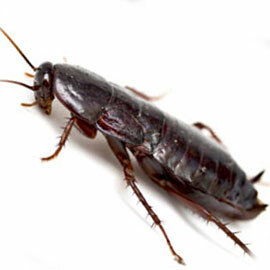 These dark black roaches spend most of their time outdoors near sources of moisture. Get Rid Of Your Cockroaches Today!